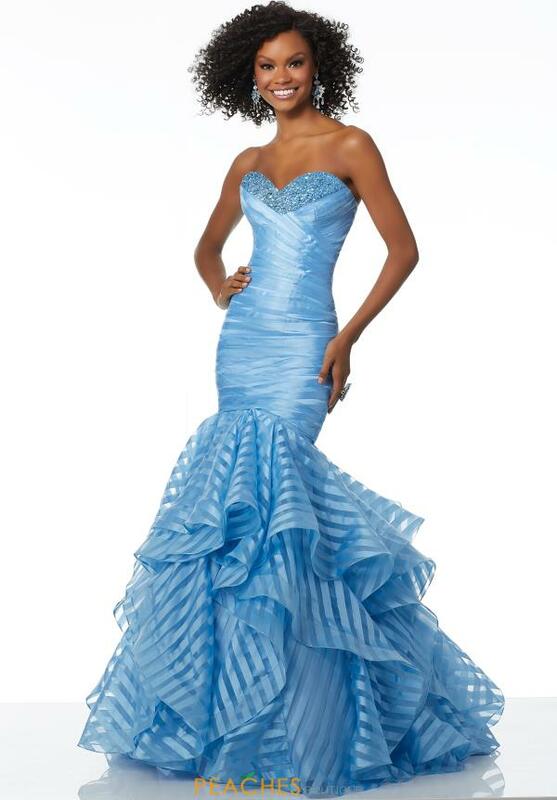 You are sure to have all eyes on you in this unique Mori Lee mermaid dress 42038. A strapless sweetheart neckline features bead work that shimmers under the lights, as the fit and flare silhouette showcases an intricate ruching. 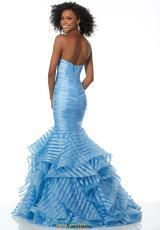 A tiered mermaid skirt has a fun striped design for a funky feel. Don't forget to stop by Peaches Boutique in Chicago for your senior prom this year.